I attended a blogger party on a beautiful Saturday morning last month. This time I had the opportunity to attend Eversoft Skinz UV White party which was held in Rondaevoo, Attivo Plaza to introduce the Eversoft Skinz UV White range. Host of the day, Miss Choo Mei Sze. The host of the day, Miss Choo Mei Sze kicked off the event with some welcome remarks. For your information, Mei Sze is a blogger too. (: Later on, Miss Alexiss Ng, the Product Manager for Eversoft Skinz, introduced Eversoft Skinz UV-White range of products and shared about 3 key benefits of the products: Advanced Whitening, Spots Lightening and Active Skin Repair. Japanese women have enchanted the world with their youthful, porcelain fair skin. The secret behind this radiant beauty lies in a traditional skincare ritual that has been perfected over generations. Using natural Japanese ingredients, it embraces the Japanese 5-Step skincare ritual for radiant whitening of skin. Obtained from the high quality, premium grade green tea from Kyoto, Japan. Packed with powerful and effective natural anti-oxidants, it helps to renew and repair skin by neutralizing the damage caused by UV and free radicals. Mei Sze proceeded with the demonstration on the right techniques of applying the 5 steps regime of the UV-White products. It's important to use cleansing oil to remove the makeup. Therefore, Eversoft Skinz Cleansing Oil was used to purifies the skin by effectively removing makeup, sunscreen, BB cream and other residues. Dispense 3 - 5 pumps onto palms, smooth over the face and eye area. Gently massage to dissolve the the makeup, mascara and other impurities. Wet face with water and continue massage in circular motion until oil turns milky. Eversoft Skinz UV White Purifying Facial Foam is the 99% plant-based active foaming cleanser gently cleanses and removed impurities while retaining skin's natural moisture balance. It deeply cleanses your skin to reveal clearer translucency. Skin is perfectly cleansed, refreshed and soft to the touch. Eversoft Skinz UV White Clarifying Toner is a balancing toner that deeply tones and purifies, keeping skin radiant and pores refined. Enhanced with Aloe Vera and Licorice to soothe and calm your skin, preparing it for optimum absorption of skin whitening therapy. Restores your skin's optimum pH balance for a hydrated, fresh sensation. 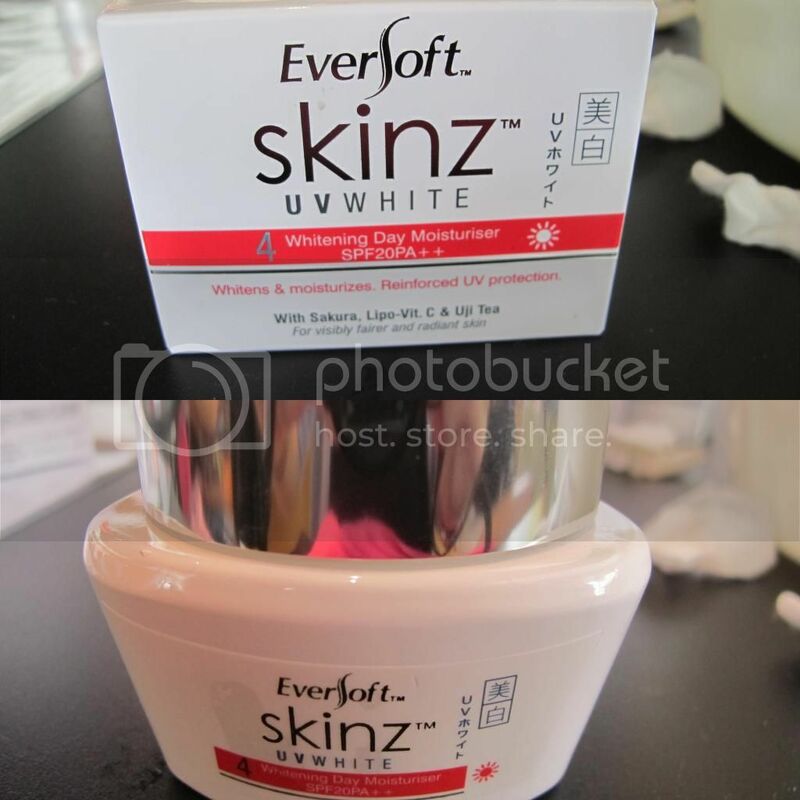 Eversoft Skinz UV White Intensive Whitening Serum is a high-potency serum packed with active whitening concentrate and enhanced with Hesperidin to boost skin lightening process. Helps reduce pigmentation and dark spots effectively, revealing a brighter and more radiant skin ton. Use regularly for deeper whitening from within and see a radiant, glowing luminosity in 2 weeks! Eversoft Skinz UV White Whitening Day Moisturiser SPF 20 PA++ is a water-based day cream that quickly and effectively absorbs to whiten, protect and hydrate your skin during the day. Advanced broad spectrum UV filters provide complete protection from UVA and UVB rays, reducing further sun damage. Use regularly for deeper whitening from within and see a radiant, glowing luminosity in 2 weeks! 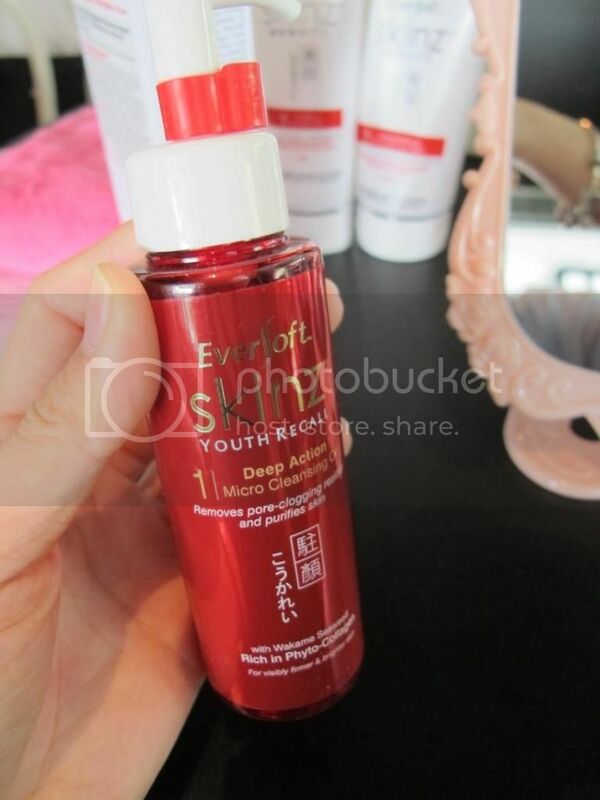 Continuous usage of Eversoft Skinz UV White 5-Step Skincare regime can create visible results within 2 week. Later on, renowned image consultant, Miss Josephine Lui shared with the audience on the tips on how to choose the right colour that compliments the skin complexion and get the best out of your confidence. She mentioned on how we can improve with our self-image by manipulating the colours that we wear every day to bring out the best in your confidence. We then moved on to the pampering session where the bloggers were treated with a make-up session to complement and apply some of Josephine's tips that was raised earlier. The guests were also pampered with hand massage and manicure to further indulge their leisure needs. This gave the chance for the bloggers and personalities to interact with one another while getting to know more about the product in a relaxing and soothing environment. Group photo with the bloggers, Miss Josephine Lui and Miss Alexiss Ng on that day. 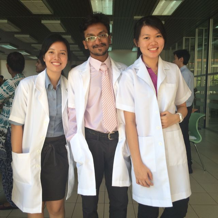 Thank you Eversoft Skinz for having us! I truly enjoyed the session with the bloggers. For more information on the Eversoft Skinz UV White range, check them out at their Facebook page here: https://www.facebook.com/EversoftSkinz.